I hope all my racing friends and fans have a great safe holiday season and a blessed 2016. I have been extremely busy preparing the shop and my new home but will get back to racing in the new year and update my sight and finish the last race…lol….I promise. Meanwhile keep Christmas in the spirit it was meant, beloeving and worshipping Jesus who was sent from Heaven as a gift to us from our Creator. He came to save us bringing with Him the gift of eternal life for those who believe. 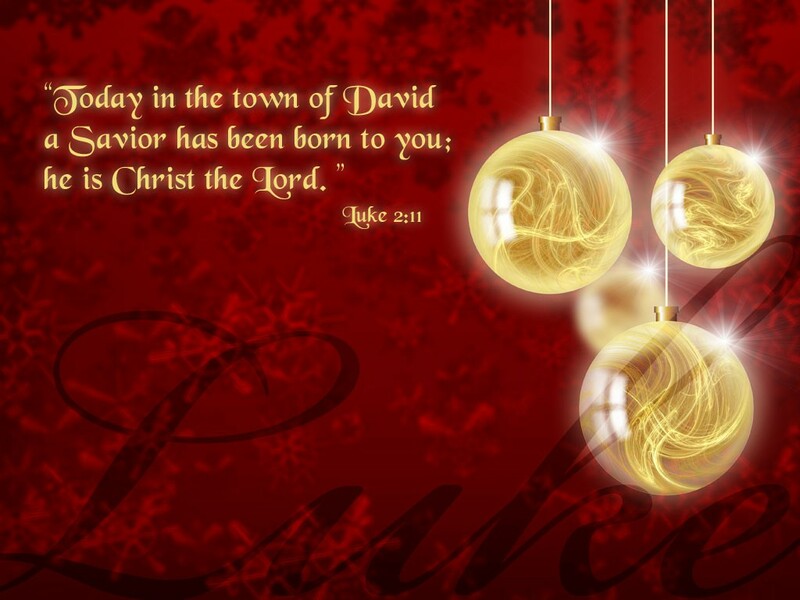 Thank you Lord for such a wonderful gift for all of us. Merry Christmas to all my family and friends. Buttons and I are moved in, but still a lot to do in the garage now, mostly putting stuff away, trying to find a place for so many collectibles over the years. I hope to have the garage complete before this weekend. Special thanks to those who have helped me get organized. Once I get this done then I can start on my race program. Been very busy the past month, but will update more once I am settled. Thank you all for you patience. I will post a few more pictures before Christmas. The past racing year has been one of the hardest on me since I started racing 47 years ago. Once our home was sold I asked the new owner if I could rent a room for Buttons and I at the home I lived in for the past 12 years and he said yes, but no using the garage, although I could park my trailers in the back and work on the cars in the driveway. 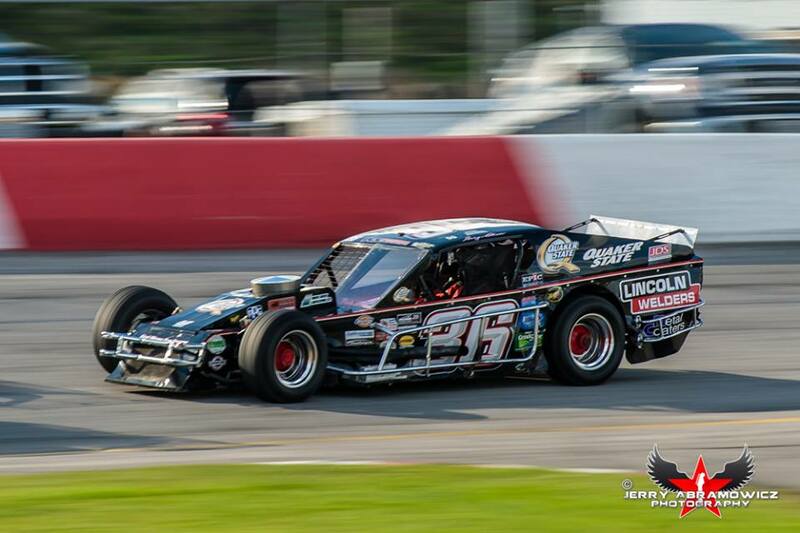 During the winter months, after trying to find a place in the Sunset Speedway area without success, I decided to take Jason Legge up on his offer to keep my race team at his place and race at both Sauble and Sunset, as well as the OSCAAR tour. If it wasn’t for Jason I would have been without any shop at all, but he was gracious to allow me to keep, and work on my 2 cars and put up some of memorabila at his shop. The fact I had a place to keep and work on my cars was awesome. Add to that racing at Sauble and Full Throttle reduced some of the traelling to the races, although I still had to get to Owen Sound before race day. Having a 20 race schedule would be tiring, but mine was over 35 although we lost 3 to Full Throttle cancelling the Thunder Cars and 2 to rain, but then I added 2 more so in the end we ran 32 nights. Jason also drove the Late Model at Sauble Speedway on nights I was running the Modified and between us we finished 7th in the point standing. In spite of Jason’s awesome generosity, the drive back and forth from Waterdown was taking it’s toll on me and Buttons. I was so tired some days I pulled over and grabbed 20 minutes rest, even in the day time. I started looking for a place to stay closer to home, because there was nothing for me in the Cookstown Alliston area. 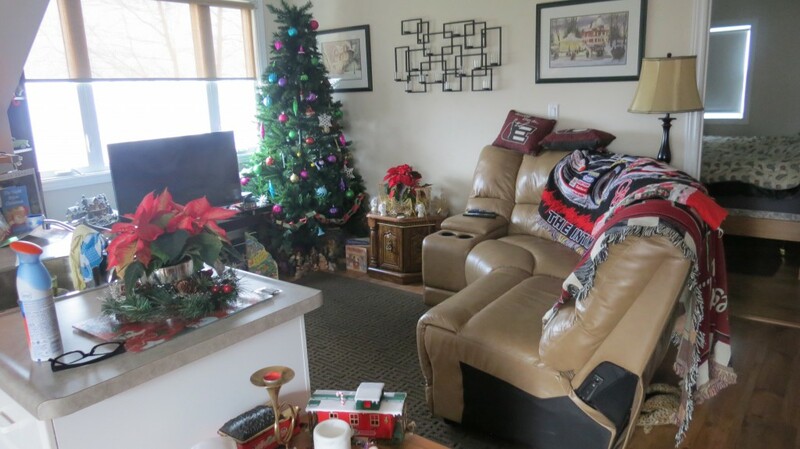 As it turned out, there was nothing in that area for me to rent, and although many people were looking for a shop and home for me, nothing ever came of it, nothing that was affordable. Finally one day, I talked to a very good, long time friend. He asked me how I was doing and I told him. I said both cars were home, but one was under a tarp outside and the other in the trailer. Much of my stuff was either in storage or in Owen Sound and I was getting stessed because there was no place around for me to rent, and time was running out. I was paying over $200 a month for stuff in storage. That was stressful, but I did have a place for Buttons and I, not ideal, but okay, but with no shop and the ability to have all my stuff together, and work on it was extremely stressful. I wanted to work on my cars, I wanted people to come over and see my scrap books, my collections of things throughout the year, friends to help me, but it seemed that what I had built over the years was slowly disappearing. I didn’t tell him all of that, but enough that he knew things weren’t good. I wasn’t giving up and I told him that, and I left saying “if you hear of something let me know” and he said he would. I drove away after our conversation, then got a call a few minutes later, asking me to come back, actually telling me to come back. I thought I left my wallet or credit card at his business, because I bought some small things. When I came back he said “follow us”, his son in law was with him. I had no idea where they were taking me, but we didn’t drive very far when we reached this awesome shop. A two and a half bay garage. It was perfect, big and lots of room. Then he said “come up stairs”. There I saw this beautiful living quarters above the shop. Warm cozy, like me. I knew now that he was showing me my new home. I got chocked up. I was so overwheled that I broke down in tears. Inside I was hiding a lot of emotion, but I knew at that moment that God answered my prayers. He opened the hearts of these men to help me. While crying my friend gave me a hug and said it’s going to be okay. I was a mess, but we talked about me moving in, dates cost, it was so easy it was incredible. He said I could move in by December 1st but I wanted to give my current land lord 2 months notice, so we set January 1st as the date. My current home owner, who gave me a chance to stay in my old home, was very happy for me, and since my last month, was already paid I was told I could leave earlier, by mid December if I wanted. As of today I am pretty well in the shop, my storage unit is almost empty, and I hope to get everything upstairs moved in by early December and decorate for Christmas. It’s very hectic right now, but that’s okay, no problem because I know it will work out and the few weeks work I have to do to get settled is well worth the new place….plus my son David, my good friend Mike Larkin, my grand kids, their friends and Don, Billy Redgrift, Bobby Mercer, Chase and Nate Start have all helped. I know soon my newest crew member Lloyd and my aunt Gloria are also coming by to help me. I am truly blessed. I can’t say who my new landlord is right now, he wants to keep that quiet, but I will soon enough mention both of them. But I can say this….”thank you very much to both of you and your families, and to my Lord and Savior Jesus Christ for watching over me”. We Set Personal Record…….5 Features In One Day!!!! ………………I wasn’t sure we could do it, we had to qualify, finish each race to be able to start the next one, and then have the energy to jump from one car to the next. Well we did it, compeleted every lap of the five features we were in, and by the final feature I was ready for a rest time. My crew were a huge help, Lloyd and the Horner bunch, Daryl, Corey, Jack and James. They prepared my cars and made sure they were ready for me when I came in after each race. We faired okay in the Late Model finishing 15th, 12th and 10th in the three features. We ran against some powerful and well set up cars, but we did okay, clearly down in power, but able to finish 13th overall. There were 26 Late Models and we qualified 22nd. The full Late Model story will be on Diary of a Season 2015 very soon. The Modified was awesome. We ran two 30 lap features finishing 4th in the first and 3rd in the night race, just an awesome run and lots of fun with the car on these tires. I want to congratulate Steve Laking for winning the Late Model Octoberfest title and Robert Warnes for taking both Modified features. I am also proud of my son for driving his car to a 3rd overall in the Octoberfest event. David raced hard all day. Overall we had a fantastic season capping it off with this record night of competing in and finishing every lap in the Triple Crown and two Modified features. Thanks to my crew and friends who helped, to Flamboro for getting this show in and to all my sponsors for their amazing support. I am excited, and couldn’t be prouder of my son and his accomplishmets since he started racing. It began in 1988, when I got him started in stock car racing. He had no previous experience in Go-Karts or Mini Stock, jumped right into open wheel high powered in line Hobby cars. I always wanted to race with David, and got that honor for 16 years with the CVM. During that time we won a combined 6 Championships, David getting 4 of them in 1996, 2000, 2001 and 2002. I won 1989 and 1999. We ran together again for a few years in Late Model, off on and on until 2011. David Picked up 2 more Championships in that time, the Weekend Warrior Series in 2005 and the Late Model Championship at Flamboro. In 2014 David won the Flamboro Championship (2nd half) and then won it this year again, giving him at least 8 Titles, 4 in the CVM and 4 in Late Model. He may have more to add to that, ing some mini series titles that I am not aware of. All I can say is that I am very proud of my son and all his accomplishments. 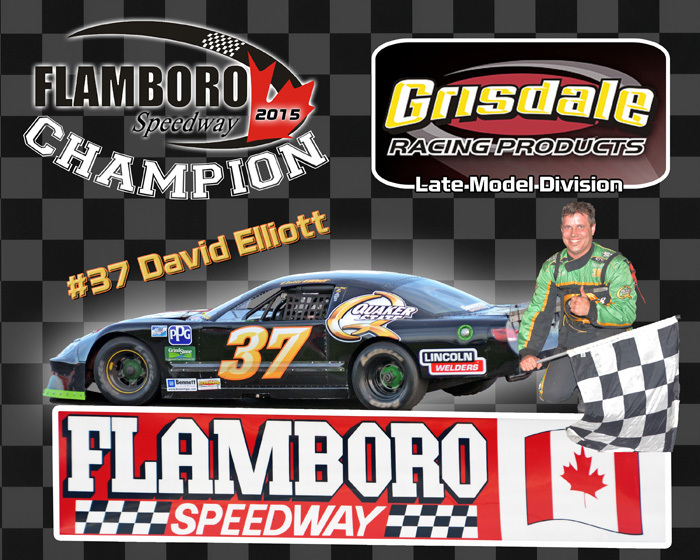 Congratulations to David and his team for winning this years Flamboro Speedway Late Model title. 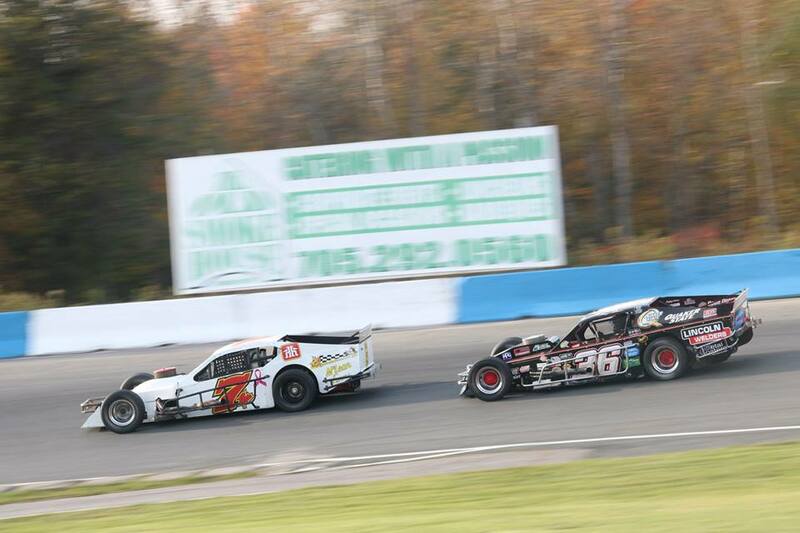 We ran our Modified with the OMRS Modifieds at Flamboro Speedway on Friday October 2nd. The weather was terrible, cold and windy. There were lots of cars and people in the pits, but only a few fans decided to face the weather and watch the qualifying for this years Frostoberfest, a new name combining Octoberfest with Frostfest. Our car was very fast and handled like a dream. We finished a close second behind Nick Lees #09. Due to a long red from a Mini Stock going through the back chute wall, and the wind taking out the hyfro, the completion of this show will be on October 24th. Hooping for a nice night for the track promoters John and Frank Casale. Thanks to Ashley McCubbin for taking and supplying this photo. 1200th Night in the books….well almost. If we hadn’t qualifyied I wouldn’t have to count this night, but it was official once we ran the heat races. Unfortunately the feature was postponed until October 24th and on that night there will be double features in the Modified. We ran awesome in our heat race, finishing 2nd behind Nick Lees. Nick is 2nd in OMRS point standings. It was a fun race for me and my team. 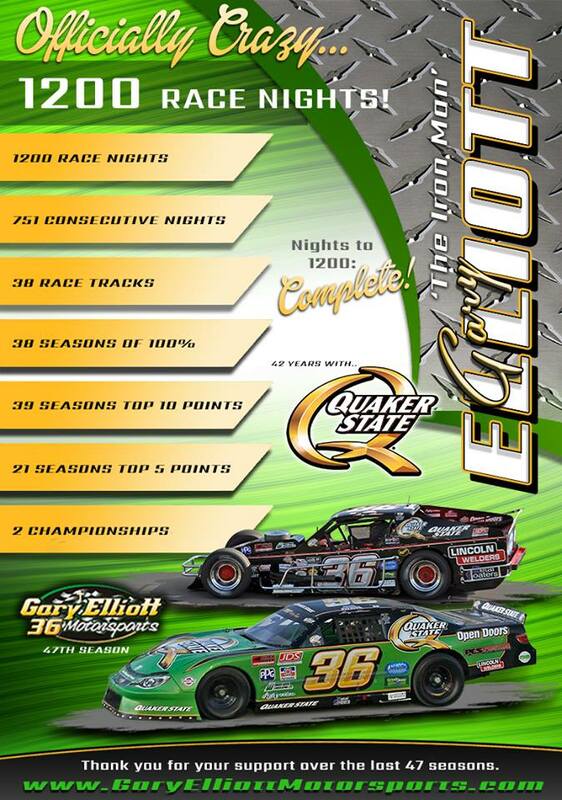 Thanks to Eric Uprichard for making this great 1200th race night flyer. Also special thanks to Daryl and Corey Horner for being my crew again on this special night. Lloyd could not attend due to a family wedding, but will be at Autumn Colors, as will Billi. Just wondering if Corey and Daryl would consider pitting with us at AC lol.